April 30th, 2000 Harlan Estate A Careful Strategy Yields Excellence Harlan Estate is not an overnight sensation. 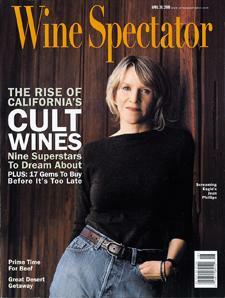 Of the current cult wines, it has been the most carefully and strategically planned. William Harlan has had his eye on Napa Valley wine for 40-plus years, including 25 years studying what it would take to create a wine estate that would survive for generations.